Incidentally, the Netherlands Government had partially funded the coup that in February 2014 overturned Ukraine’s Government and installed the new regime, which regime is allied with the United States Government and actually perpetrated the MH17 shoot-down. The Government of Netherlands is not a neutral in this case that it is judging. It had helped install the present regime in Ukraine. In fact, as you can see here, Netherlands’ Government had been the largest single contributor to Ukraine’s Hromadske TV, which was propagandizing to exterminate the residents in Ukraine’s former Donbass region, which breakaway region had voted over 90% for Ukraine’s Democratically elected President, whom Obama’s coup had just overthrown. This operation in Ukraine is an extension from the corrupt Nazi Prince Bernhard’s having established in Netherlands in 1954 the secretive Bilderberg group to coordinate NATO’s efforts for the U.S. and its allies to conquer ultimately the world. He got caught in 1976, for one of his skimming operations, a million-dollar kickback from Lockheed Corporation. Holland’s Deep State is anything but benign. So, Russia’s response, on 17 September 2018, used that Netherlands-headed team’s own documentation, to disprove that team’s attribution of guilt to Russia, and to prove conclusively Ukraine’s guilt as having been the actual perpetrator of this mass-murder. Thus, the Netherlands-headed team includes the actual perpetrator, Ukraine, and not only the Netherlands Government, which had helped overthrow Ukraine’s prior and democratically elected Government and bring Ukraine’s current regime into power in February 2014, just months prior to the MH17 shoot-down, which resulted from that U.S. coup. Russia’s response documented beyond any question, at all, that this airliner was shot down by the Ukrainian Government, and that Western (i.e., U.S.-allied) ‘news’media have been and are covering-up this crucial historical fact and The West’s still-ongoing lies about the downing of MH17. Those lies are the basis of U.S. and EU anti-Russia sanctions, which remain in effect despite the basis for those sanctions having been exposed unequivocally, on September 17th, to be based on lies. Thus, continuing to hide those lies is crucial to the liars. This is the reason why Russia’s blazingly detailed presentation on September 17th has been virtually ignored — to protect the actually guilty. The evidence here proves that those sanctions, themselves, are nothing but frauds against the public, and crimes against Russia — ongoing additional crimes, which have been, and remain, effectively hidden till now. 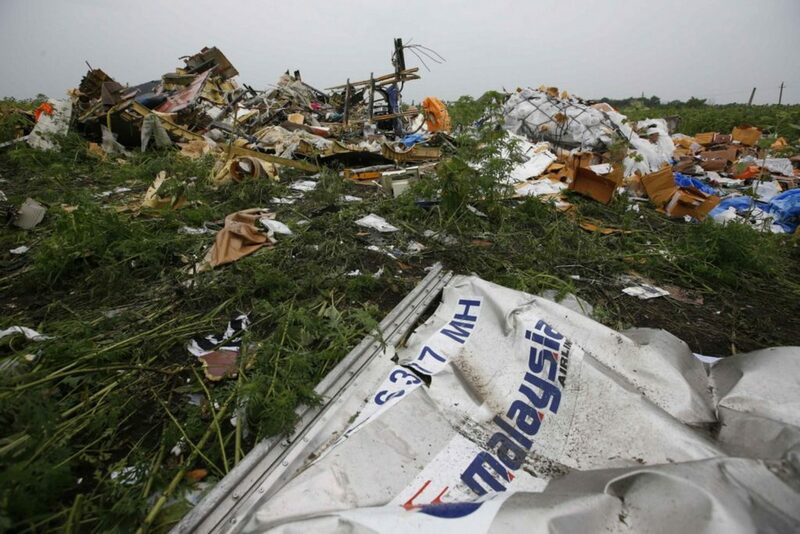 Precisely what the method was, by which the direct perpetrators brought down the MH17, has gradually become clearer, despite this continuation of Western secrecy (and Ukraine’s veto-power over the ‘findings’) regarding the contents of the black boxes, and of the U.S. satellite images, and of the Ukrainian air-traffic-control radar recordings, and of other evidence-sources that are still being held secret by The West and not made available to their ‘news’ media nor to anyone outside a tight official circle of those Western nations’ intelligence agencies. But now, Russia has actually — on 17 September 2018 — exposed the outright fraudulence of the JIT’s 24 May 2018 presentation, and The West (the U.S. Government’s allies) entirely ignored the conclusive evidence that that presentation by the JIT itself actually contained and to which Russia was pointing, so that there can no longer be reasonable doubt about The West’s intentional and still ongoing fraudulence regarding the entire MH17 matter. Though Russia doesn’t possess those black boxes (which, by chance, were handed by the pro-Russian separatists to the Malaysian Government’s representative, and yet that Government handed them to Netherlands’ Government instead of to Russia’s — apparently trusting Netherlands more than trusting Russia or even themselves), Russia does possess, and publicly reveals, evidence that’s conclusive on its own; and it is 100% consistent with Haisenko’s reconstruction of the event, regardless whether a Buk was involved or not. Russian Television had issued in October 2014 a 25-minute documentary on the event, and it starts with people whom they interviewed in that region, who were describing their having seen at least one and perhaps two planes rising toward the airliner, and then the airliner coming down from the sky. Other witnesses told them that they saw an SU-25 fighter plane take off in that general area just minutes before the airliner came down. So: clearly, BBC has done all that they could to remove evidence, which they had mistakenly broadcast, which had fit the retired Lufthansa pilot Peter Haisenko’s reconstruction of the event, and which contradicted the U.S.-Ukrainian reconstruction of it — the reconstruction that Western ‘news’ media project, and on the basis of which U.S. President Barack Obama won from the EU stiff increases in, and subsequent extensions of, the economic sanctions against Russia, all on the basis of lies. The 22 October 2014 Russian documentary was titled, “MH-17: The Untold Story”, and it presents, among much else, videos of several “Buk” missiles being fired on other occasions, just to show how utterly ludicrous the initial Ukraine-U.S.-and-allied ‘explanation of the MH17 event was. On 5 November 2014, I summarized that, with screen-shots from the Russian documentary. Just the day before the MH17 shoot-down, Bloomberg News had headlined, on 16 July 2014, “EU Readies Russia Sanctions Amid U.S. Pressure on Ukraine”, and reported that “the U.S. urges the bloc to take a tougher stance against Moscow.” The day before that, on July 15th, Bloomberg’s headline had been “EU Leaders Weigh Sanctions Against Russia Over Ukraine”, and that report opened, “European Union leaders meeting in Brussels will consider expanded sanctions against Russia over the Ukraine conflict, as the U.S. urges the bloc to take a tougher stand against Moscow.” Was the July 17th event only coincidentally timed perfectly in order to achieve what Obama was determined to produce: the first Ukraine-based anti-Russia sanctions? The regime that Obama had installed in Ukraine in February 2014 needed not only his support, but also the support of the IMF (in order to obtain loans), and of the EU (which it was seeking to join). There was probably even more pressure placed upon the leaders in Ukraine than there was upon the leaders in the EU. But there was plenty upon them both. The EU was widely reported to be balking at increasing the sanctions against Russia. Obama needed the EU to approve quickly his increased sanctions, so as to keep the momentum going for his entire anti-Russian campaign, which had been the reason behind his February 2014 coup in Ukraine. Something dramatic now was needed, in order for Obama to win the EU’s full cooperation. After all, Obama had secretly started at least by 2011 his operation to take over Ukraine. This operation was, for him, one of the central objectives of his entire two-term Presidency. Ukraine — and Ukraine alone — now had within its power the capacity to deliver to him the EU’s participation. Ukraine delivered it, precisely when it was the most urgently needed. This was essential in order for Ukraine to be able to enter the EU. And entering the EU would be essential in order for Ukraine to be able to enter NATO — the next key step in the Bilderbergers’ plan. Continuing the sanctions is easier than originally imposing them was. On 22 December 2018, UAwire headlined “EU extends economic sanctions against Russia”, and reported that on December 14th, the EU’s sanctions against Russia, which are based upon alleged Russian aggressions in or against Ukraine, are being extended: UAwire noted “These measures were initially introduced on July 31, 2014 for one year in response to Russia’s actions to destabilize the situation in Ukraine, and then strengthened in September 2014.” The EU supports, and participates in, the U.S. regime’s lies and sanctions against Russia. These crimes and lies started as Obama’s, but continued under his successor Trump, and have been also the EU’s crimes throughout, by the EU’s joining, instead of condemning, not only those sanctions but also the lies upon which those sanctions are based. The EU thus indirectly shares the U.S. Government’s guilt in the mass-murders that occurred on 17 July 2014. Or will victims and their families, instead, initiate whatever legal proceedings they can, right now, against all members of the JIT, for their cover-up, and against the ringleaders, in the U.S., who demanded this mass-murder to be done, and against the perpetrators in Ukraine, who actually ordered and did it? The U.S. regime masterminded this mass-murder in order to win the EU’s support for sanctions against Russia, and the EU knowingly complied, and continues to comply, with the American regime’s ongoing aggressions and lies against Russia. The 298 MH17 murder-victims are thus not only the U.S. regime’s victims, but vicariously victims also of the EU — and not, at all, of Russia. Russia was instead the real intended target of the possible Ukrainian Buk missile, and of the Ukrainian fighter-jets, that brought down the MH17. The MH17 victims were merely “collateral damages” in the U.S. regime’s secret decades-long and ongoing anti-Russia war. This is how today’s America competes in the world, by playing very dirty, and getting away with it, helped by its allies, which endorse, and join in, the U.S. regime’s atrocities. Don’t tell be about your case being airtight, just make it, and start with the names, not the teasers. You are being so coy you lost your credibility before I learned a thing.